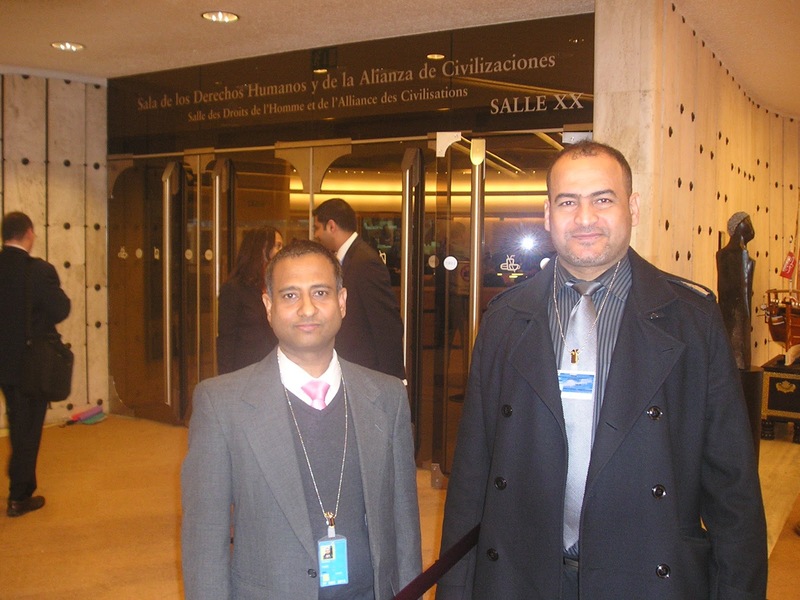 The Iranian regime is engaged in crimes against humanity in its attempts to ethnically cleanse Ahwazi Arabs from their homeland, Ali Saedi the Director of the Ahwazi Centre for Human Rights (ACHR) told a meeting at the UN headquarters in Geneva this week. Addressing activists, UN officials and human rights NGOs, including the independent expert on minority issues Rita Isaacs, Ali Saedi called for the international community to do more to support the rights of "defenceless" Ahwazi Arabs who are facing "barbaric violence" by the Iranian state. He drew attention to the massive injustices faced by various non-Persian ethnic groups as well as Iran's poor track-record on human rights, especially unfair death sentences. He also met with UN Special Rapporteur on Iran Ahmed Shaheed and Iranian Nobel Peace Prize Winner Shirin Ebadi to thank them for their support following a UNHRC meeting in which Iran faced global condemnation for its human rights policies. "One of the worst examples of Iranian conduct is the mass arrests carried out randomly in against the citizens of the cities of Ahwaz, Hamidiya, Falahieh, Mohammerah (Khorramshahr) and Khalafia (Khalfabad), which has reached more than 50 during the past two months," said Ali Saedi. "There are concerns over the health of activists in jail who are facing various types of torture, including those who suffer from disabilities. In addition, most prisoners will still suffer from the effects of torture long after they leave prison. "The families of the political prisoners have complained of the lack of adequate attention by international organisations regarding the situation experienced by Ahwazi prisoners."